Today has certainly been filled with excitement and slight anxiety…. 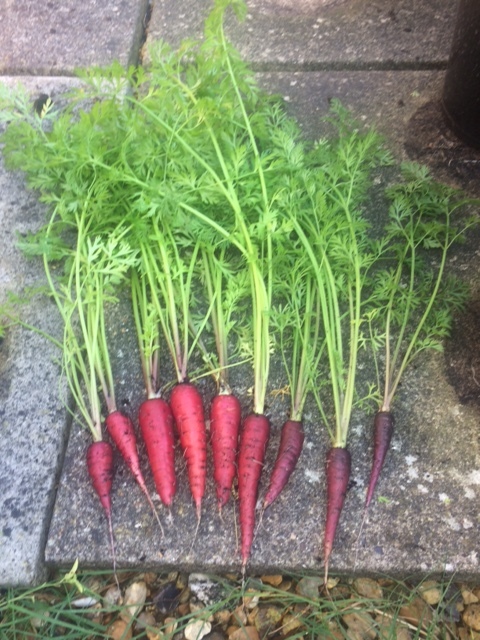 After a trip to my local garden centre for lunch and a browse, I came home and harvested my first carrots which I have grown in containers since the Summer. I bought the seeds through a surprise bundle offer with The Telegraph and Thompson & Thompson, F1 Purple Sun and F1 Cosmic Purple. After recently reading many other blogs and allotment posts, I was very excited but also nervous about how well mine had turned out. I have seen lots of photo’s of funny shaped carrots and posts of minimal success, so didn’t know what would be beneath the soil. Success! My first attempt I am really pleased and proud, no funny shapes or problems. I will update you on the taste later when I have them for tea. Fingers crossed! Whilst I was outside I checked up on my trough, everything is looking beautiful. I still get excited every time I notice them growing. 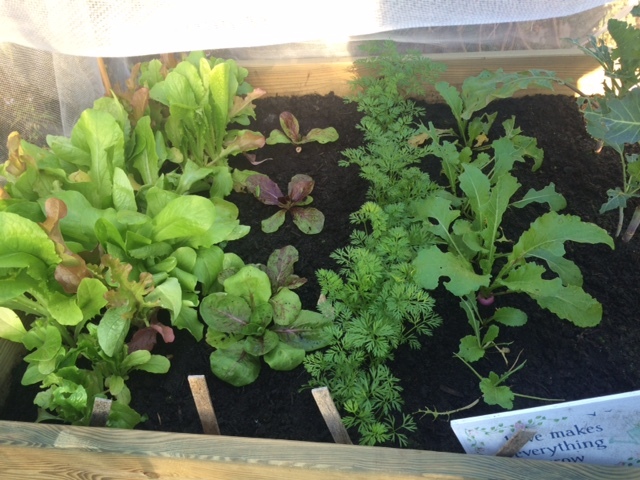 From left to right: Mixed lettuce, Radicchio, Carrots – Ideal, Turnips – Atlantic and Purple Spouting Broccoli. 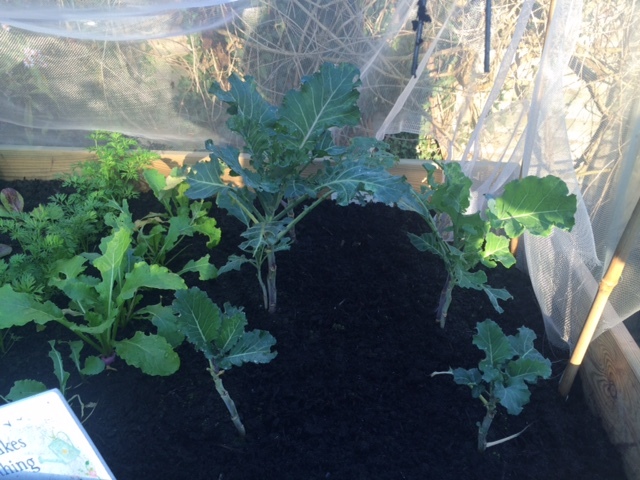 In August I planted all the seeds and plants and went on holiday, came back after a week and my Purple Sprouting Broccoli were attacked by Cabbage White Butterfly and caterpillars. I was gutted and left with just the stems, so off I ran to my trusted expert Andy at the Garden Centre to get advice. After covering them with netting since I am really pleased to see that they are finally fighting back now, yippee!! We have the dreaded white cabbage moth over here in Queensland too, and their caterpillars. Some problems are just universal !